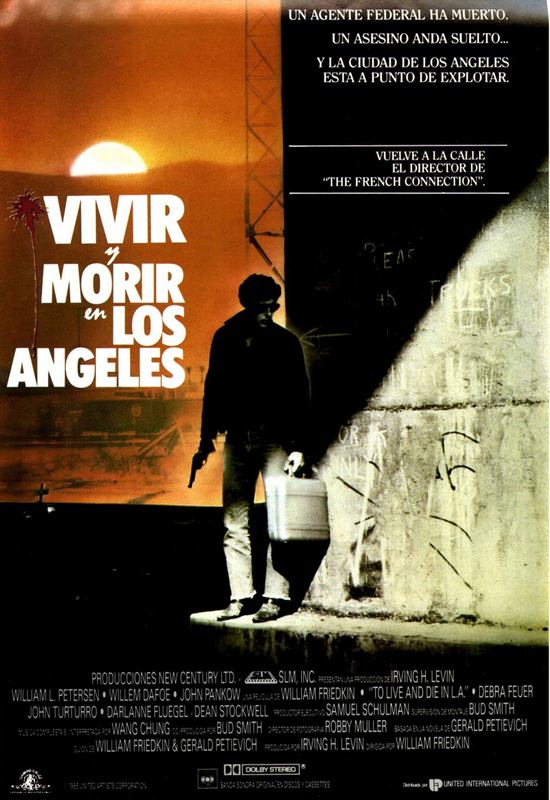 Directed by Walter Hill. 93 mins. Whoa, this movie totally sucker-punched me. 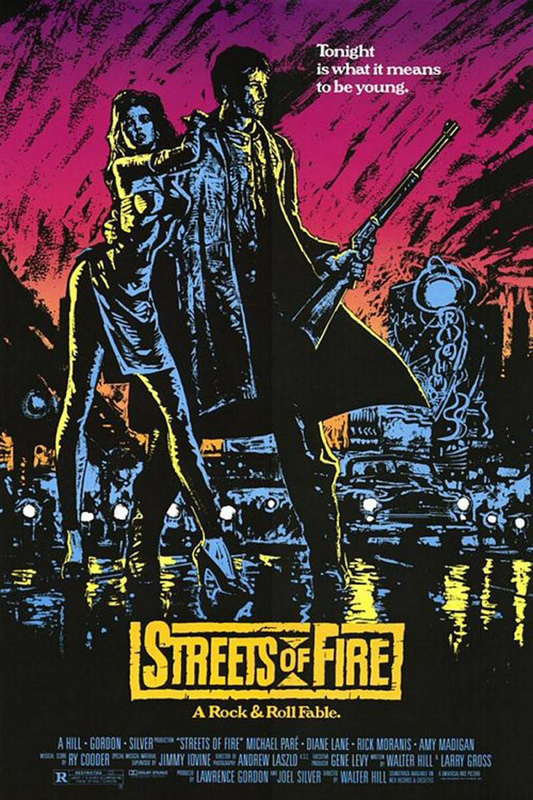 I didn’t know anything about Streets of Fire going into it, but I certainly wans’t expecting a rockabilly Western with notes of Grease and The Phantom of the Paradise. While it may not be my favorite film thusfar in the Hillmography, it’s definitely the Most Totally Awesomest™. Leading man Michael Paré may actually be the movie’s weakest link. Hill clearly miscalculated the actor’s capacity for badassery (and wearing suspenders with a sleeveless shirt is hilarious, not intimidating). Luckily, he spends most of his time sharing the screen with one of a bucket o’ great co-start: Diane Lane, Amy Madigan, Rick Moranis, and a young (but still super-creeper) Willem Dafoe. Hell, even Lee Ving from FEAR shows up in a biker gang. What more do you want? Oh, you want more? Well, in that case, you also get Bill Paxton, Robert Townsend and Elizabeth Daily (better known as Dottie from Pee-Wee’s Big Adventure). Like The Warriors, Streets of Fire feels like a self-contained universe. The action takes place in a huge city that seems to be only four square blocks (not knocking it – I had a similar feeling when watching Eyes Wide Shut). And, of course, the musical numbers of this self-proclaimed “Rock & Roll Fable,” courtesy of Jim Steinman, are as catchy as you would hope and expect. Next up in the Hillmography: Brewster’s Millions.